Happy St. Patrick's Day! 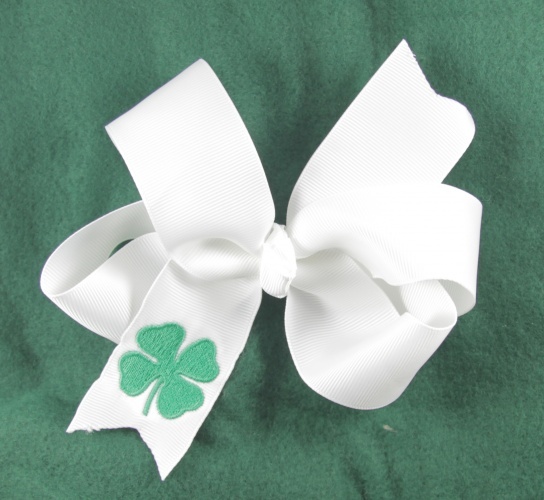 This is an embroidered white grosgrain ribbon bow, it has a 1 inch 4 Leaf Clover on the front tail. This bow will give you that touch of green to keep you from getting pinched. It has a French knot in the center and is attached to a French clip. This is perfect for your Irish spirit and one way you can say "Kiss Me I'm Irish"!